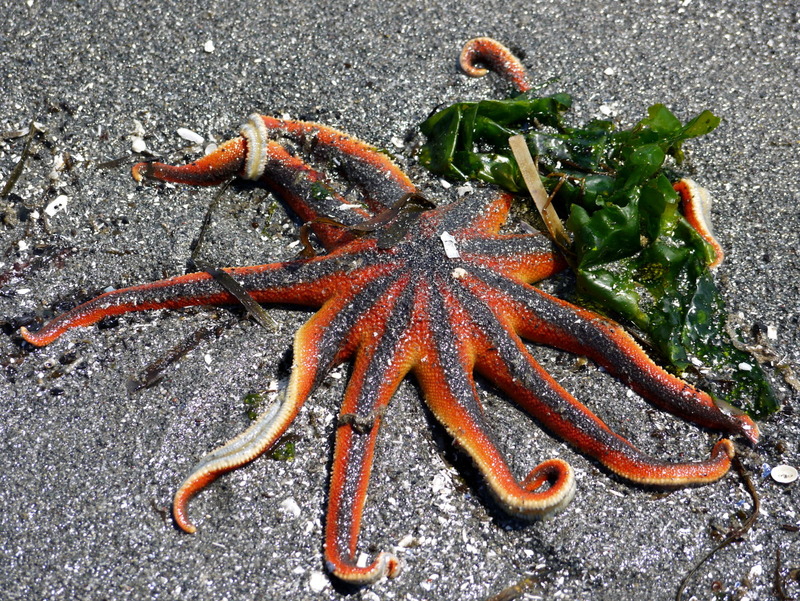 Solaster sea stars tend to be a more subtidal echinoderm, so we only really get to enjoy them as beachgoers at especially low summer tides. This species is a voracious hunter of sea cucumbers which are common in rocky inter- and subtidal ecosystems. However, this individual was hunting in open sand before it was stranded by the tide, which suggests it might have been feeding on the plentiful sea pens which occur in these areas instead. This species of sea star is the host of a commensal scale worm which can be found hiding in the groove between the paired tube feet on the underside of each arm.